Aegean is a safe and secure holiday unit situated on the South Coast of KZN. It has 5 bedrooms and 3 bathrooms that sleeps 10 people. 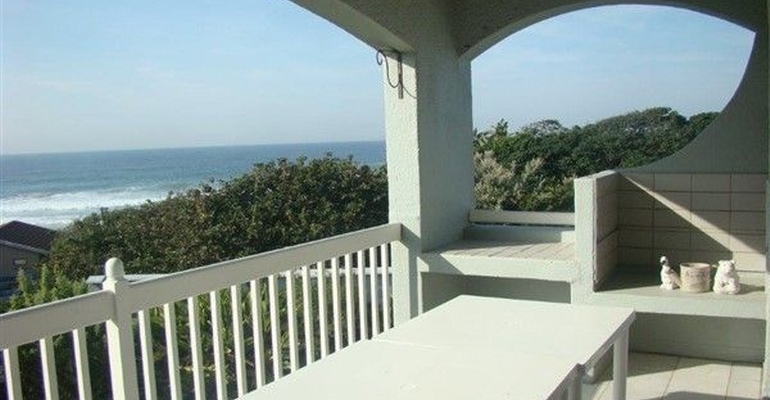 You have a fantastic view of the sea from the lounge and patio. No need to drive just stroll over the road and you are on a great swimming beach. There is a fully equipped kitchen with washing machine and drier and adequate fridge, freezer space. There are neatly kept gardens for the children to enjoy, a gas braai and a maid can be arranged at your request. Bring your own decoder and smart card. Please enquire as our rates vary by season.